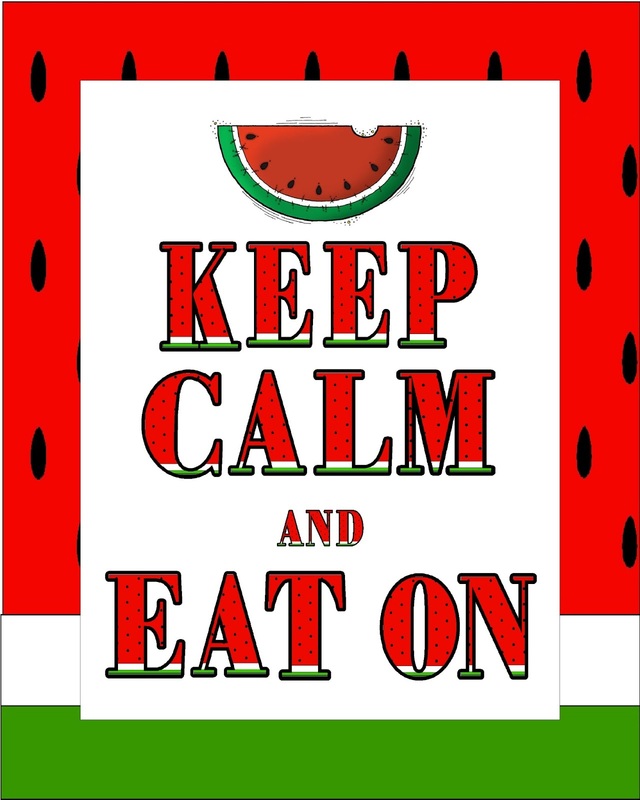 I've never been a huge fan of the Keep Calm printables. They seem to be Everywhere these days. But every now and then, you see a really cute one that just fits the mood, or the party. I decided I needed to get into the Watermelon spirit more and decided to make a Keep Calm and Eat on printable. I started with a Watermelon background that I designed up and then used the background to make a Watermelon alphabet font using the tutorial I showed you HERE. 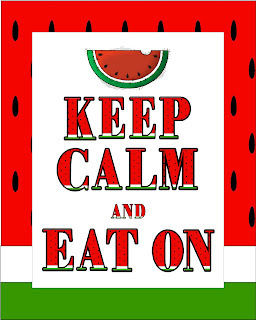 I put them all together and got my Keep Calm and Eat on Watermelon picture. 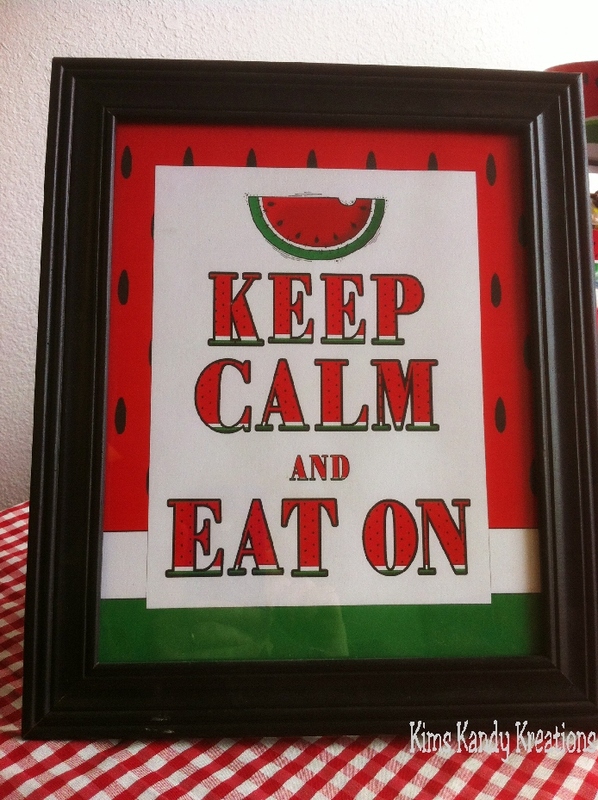 I think it fits the summer and my Watermelon BBQ theme perfectly. Mini Me was super excited when he got home last night and discovered all the watermelon projects we have going on. 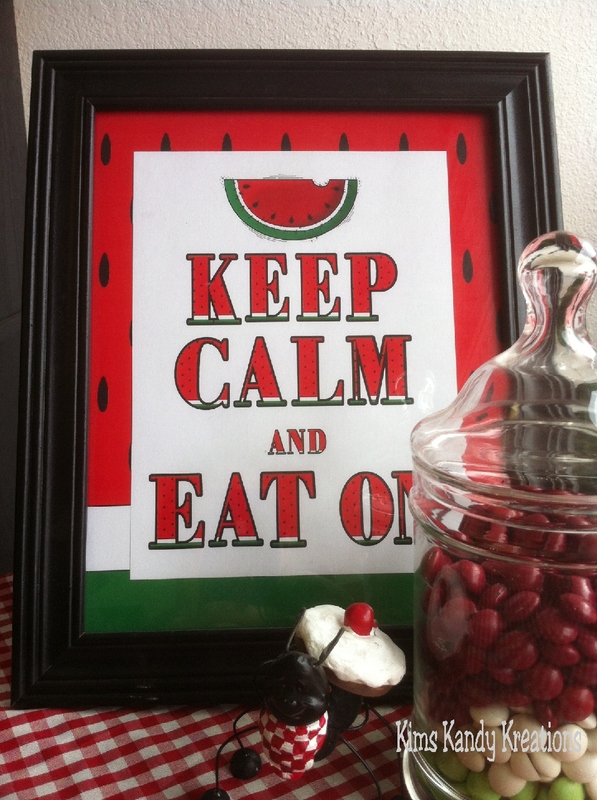 With all the Watermelon flavored treats I'm planning to make this week, we will be Eating On in yummy fashion. Here's a copy of the printable perfect for a 8x10 frame. You can also save and re size it to fit whatever size fits your needs. What Keep Calm sayings have you seen that are great? I'd love to hear.